From the keeper of the archives, James Walker. In 1947 the club was part of the Salford Arts Club which had a drama group, a music section and other interests. There are no records of any specific exhibitions prior to the first Annual exhibition held at the Art Gallery in 1953, This was held under the title of “Salford Art Club”. There had been previously opportunities for local artists to exhibit their work at the Gallery from 1931. 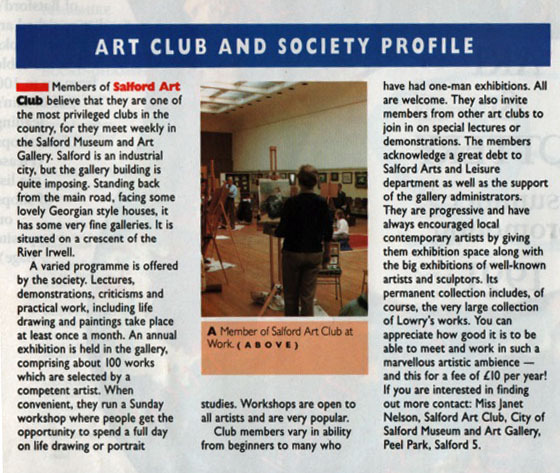 The roots of Salford Art Club possibly lie with the artist who contributed to these “Local” exhibitions. Our own Club exhibitions were established at the gallery in 1953 and have remained there ever since. 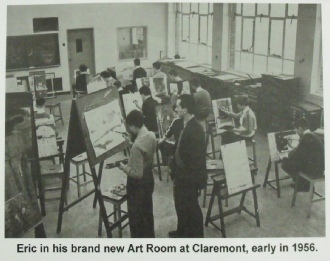 In the autumn of 1947 I was a young art teacher at Salford Grammar School and I realised that the city had no Art Club. Consequentially I had a word with the director of the Salford Art Gallery, Arthur Frape, about the possibility of forming a city - wide club for those interested in Art, Music and Drama. There was a degree of enthusiasm for this and an Art Club was eventually formed under my chairmanship. Meetings were held at the Art Gallery and occasionally at my home. There was no painting done at the meetings. Instead discussions were held and subjects set, with strong emphasis on local scene, for every member of the club. 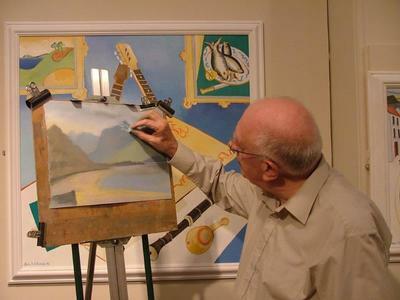 At a later date members brought their own work back to the club for discussion and critique by fellow members and invited experts. Occasional exhibitions were held in factories and the annual exhibitions took place in Salford Art Gallery with kind permission of Mr Frape. TED FINLEY was born in South Ann Street Salford in 1907, and except for four years with the Lancashire Fusiliers, he lived and worked in Salford all his life. In his time he was furrier, cartographer, street sweeper, gallery attendant and caretaker of Ordsall Hall. 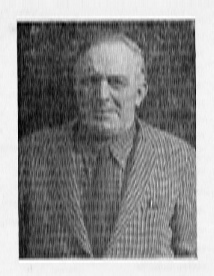 He was very much aware of the poor conditions of the working people among whom he lived and he dedicated his life to their improvement, Ted’s brother was the trade union activist Larry Finley, a fictionalised version of whom appears as Larry Meath in Walter Greenwood’s book Love on the Dole. 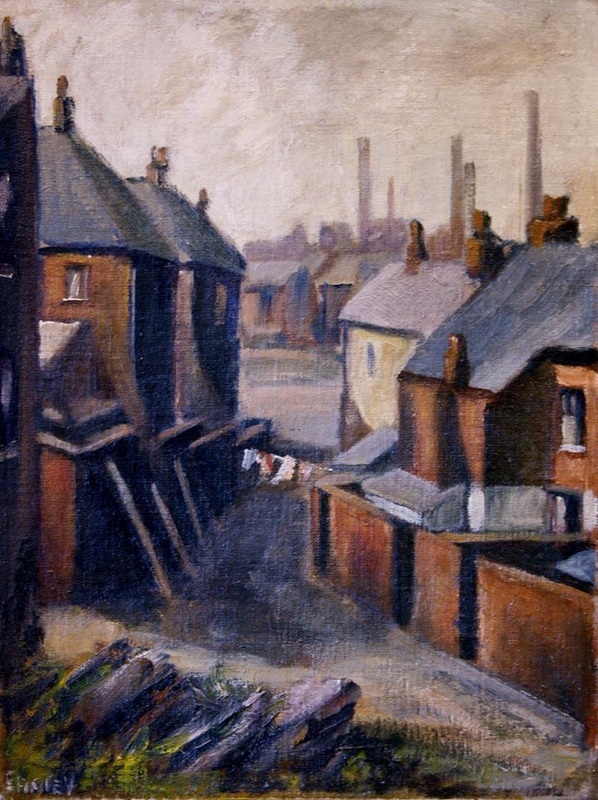 He was a founder member of Salford Art Club in 1948, with his first exhibition at Salford Art Gallery in 1951, he then was a regular exhibitor with Margo Ingham at the Midday Studio’s. 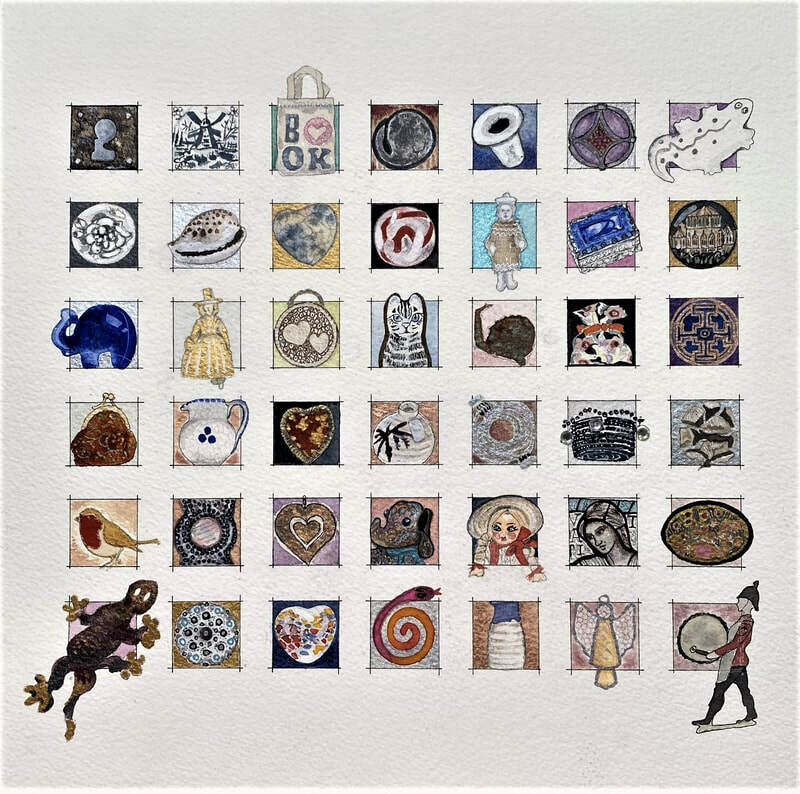 Since that time he has exhibited with other artists and in one-man shows in various galleries in Lancashire and Yorkshire. 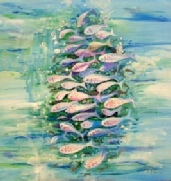 Many of his paintings are in private and public collections in this country, America and New Zealand. 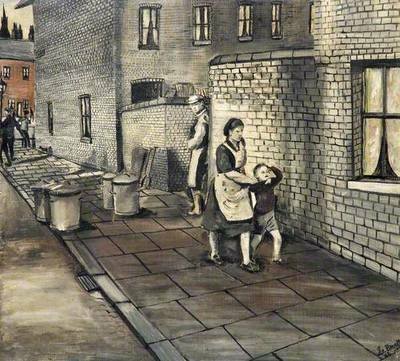 Ted died in January 1979 aged 71, a retrospective exhibition was held at Salford City Art Gallery. ​On a further note his wife continued to attend the club and made the tea and coffee for the mid session break. ​The early years of any Society are vital for it’s future existence, and the fact that this year we celebrate our DIAMOND JUBILEE shows that the original roots must have been well planted. We recall becoming a fully recognised club when our annual exhibition was established at the City Art Gallery in 1953. 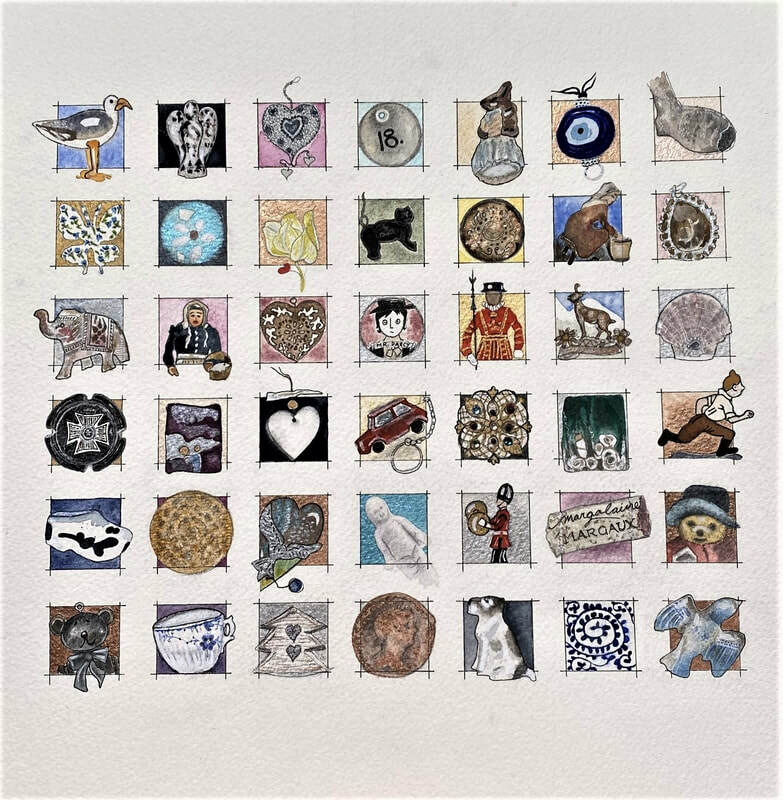 There are no records of the full membership over the early years so the members exhibiting work gives some idea and how it might have fluctuated. The opening exhibition saw 38 members showing 86 exhibits. Both these statistics hit a low in 1958 though I could find no reason for this. 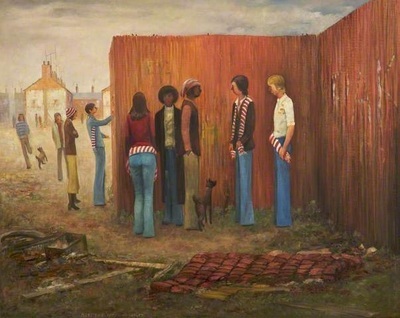 Over the next ten years the club showed a steady increase in numbers and in 1968 there were 64 members who exhibited 124 works. During this period our weekly meetings became fully established. On Friday nights and at the Art Gallery, this was an ideal setting to bring out the best in all our members. The members’ various talents and the early standards have been maintained and our reputation as a club has gone from strength to strength. We still have five members who joined the club on or before 1968 and during this same period some names stand out as members. ​Edith was born Edith Winifred Alice Sapple on the 26th September 1912 at No. 10 Fairfax Street, Salford. Her parents were Hugh Sapple,a dock police constable and Edith Tipping. In the 1891 census Hugh, age 9 yrs, was with his parents James and Elizabeth Sapple at 2 Rock Place, Welshpool, both parents gave their place of birth as Welshpool. Hugh had four known siblings. Later Hugh joined the Royal Welsh Fusiliers and served in the Boer War, from there he became a policeman working for the Salford Canal Company. He was still a policeman living in Weaste when he married Edith Tipping. They married on the 11th June 1910 at St Bamabas Church, Rothertithe, London. Her father was named William Tipping deceased. In the 1911 census the couple had moved to 12 Higher Weaste Street, Weaste, there they had their first child Doris born in 1911. The information on the 1911 census is in their own hand and gives their place of birth. Hugh of Welshpool, Edith of Lambeth, London and Doris of Lancashire. Later Edith Winifred Alice was born in 1912, followed by her sister Mavis in 1918. In the 1911 census the couple had moved to 12 Higher Weaste Street, Weaste,there they had their first child Doris born in 1911. The information on the 1911 census is in their own hand and gives their place of birth. Hugh of Welshpool. Edith of Lambeth, London and Doris of Lancashire. Later Edith W A was born in 1912. Followed by her sister Mavis in 1918.It is possible they were of French descent probably from Jersey through William Tipping but I have not found the connection yet.Edith and her sisters started painting at an early age and all were awarded a scholarship and studentship to Salford School of Art. 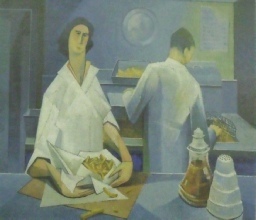 She held her first exhibition in 1937 and is known as an Artist of the Northern School. She married Cyril Jackson and they had two sons, Peter and Dennis. For several years after the war Edith kept an off-licence in Pownal Street (now road), Altrincham. 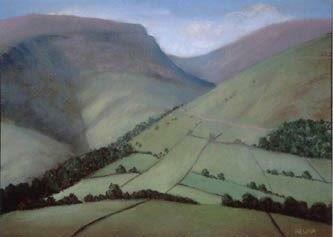 She was an Elected Member of Manchester Academy of Fine Arts in 1952 and was a member of The Lancashire Group. She was awarded a Fellowship in 1959 by the International Society of Arts and Letters and in Manchester arranged an International Children’s Art Exhibition for the United Nations. 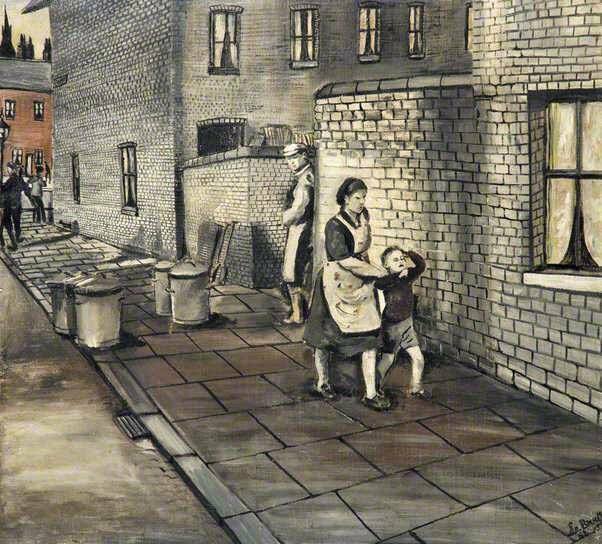 She was a friend of L. S. Lowry, who like her was a member of the Salford Art Club, he also painted Manchester United match for Matt Busby and painted the 1972 Preston Guild. She exhibited nationally, sold at Sotheby’s and wrote poetry. She retired to Magnolia Cottage, Dunham Massey, then 1 Big Tree Cottages, Dunham Massey, then to Sheltered Housing in Newtown, Altrincham. She died in 1992 and Cyril died about 2002. 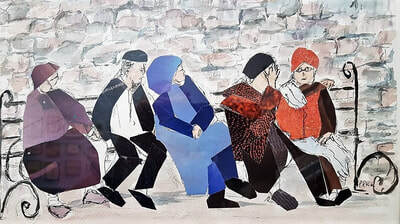 Harry Ousey was born in Manchester in 1915 and after the second world war lived near the artist Terry Mcglynn on a Peak District farm in Derbyshire exhibiting his work at Salford Art Gallery and the Midday Studios in Manchester. 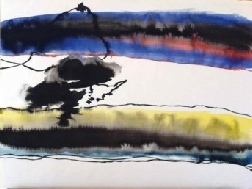 He experimented in different media and believed the only way to truly express the atmosphere of nature was by abstraction. 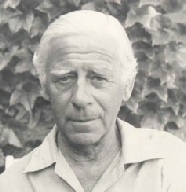 Harry and his wife Susie moved to Cornwall in 1950 living there intermittently until his first solo exhibition in London which took place in 1963, several more were to follow. The media preferred the sensation of Pop Art which was creating great interest, and after a failed business in Gloustershire, he felt there was no future for them in the UK. In 1976 they moved to France settling in Aixen Provence. 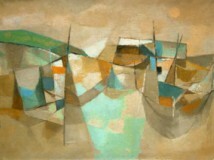 His work was exhibited in several European countries but he died in Marseilles in 1985. Susie had to return to England. 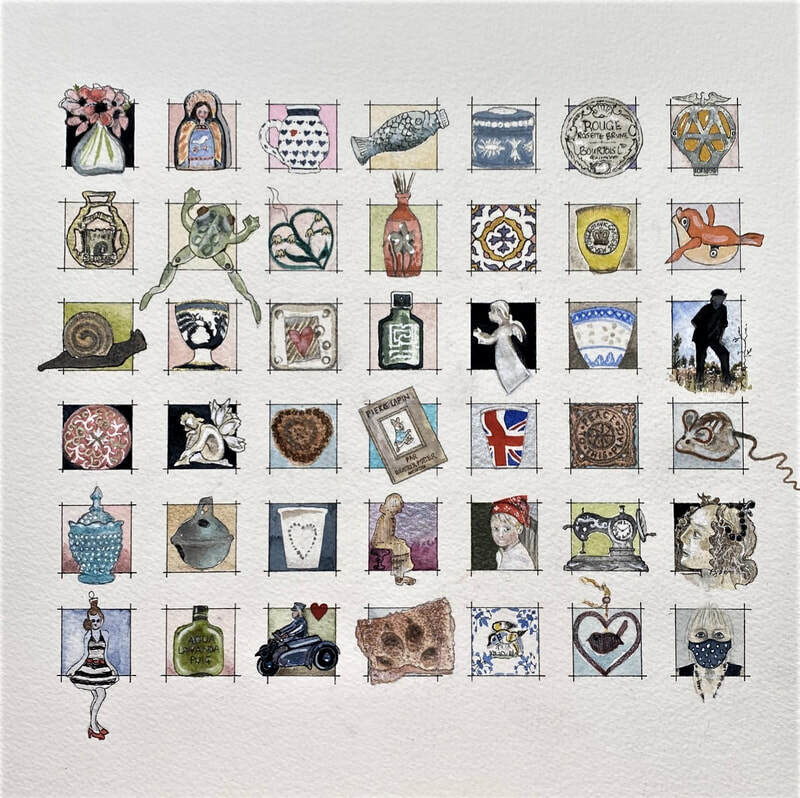 His paintings are now in several public galleries including a collection of 26 paintings acquired by Falmouth Art Gallery, Whitworth Art Gallery, Oldham Central Art Gallery, Ashton-u-Lyne, Buxton Art Gallery, and Leicester Art Gallery. ​This article appeared in The Artist's and Illustrator's magazine in September 1991. Interesting to see how some of the information has changed. Also this was before the Lowrys were moved to Salford Quays. Ernie was a keen member of the club in the 70's and 80's with his outstanding sculptures being a highlight of the show. 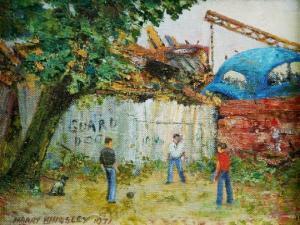 He regularly exhibited in the Manchester Academy Summer show. 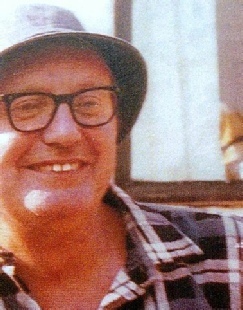 Harry was a keen member of the club in the 1970's and 80's. 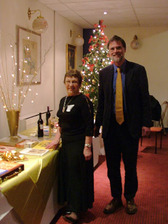 A well known artist who exhibited widely he was always keen to help and support new members. 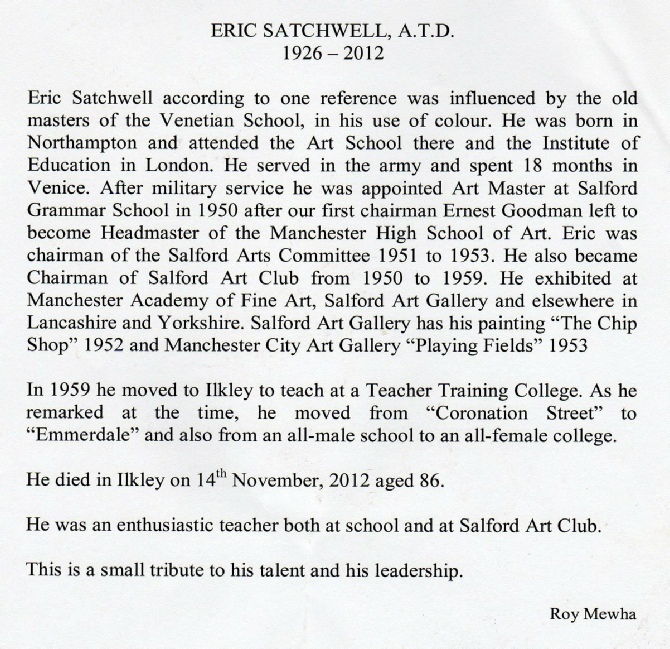 He was a member of Manchester Academy and Manchester Graphic club as well as Salford Art Club. He also played in a small band who often came to play for members to draw. 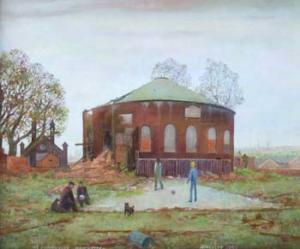 He was well known for his images of Hulme and Manchester often featuring the demolition of the area and youths. Harry performing with his friends as art club members sketched them. ​​Harold Peak kept a hardware shop on Eccles New Road in Salford during the 1950's/60's. He was an amateur artist and I believe he was a member of the Salford Art Club. I am pretty sure I remember him mentioning Harold Riley. Sometimes he would display his paintings in the shop window alongside the hardware! 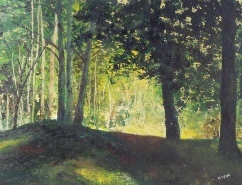 My Mother, Nora Raven, purchased one of his paintings which I think was a painting of Worsley Woods. 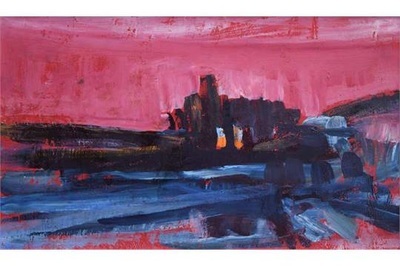 The painting has been donated to Salford Art Gallery. Harold Peak's shop was next door to the chemist which was on the corner of West Ashton Street. My mother worked at Hyde's Furniture Shop which was further along Eccles New Road on the same block. 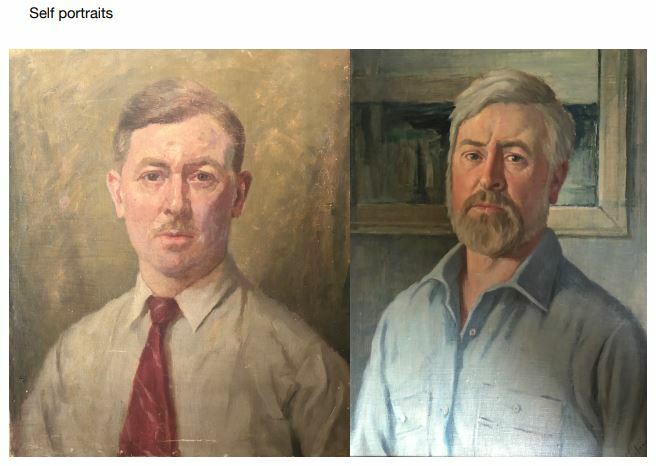 ​By the time I joined Salford Art Club. sometime in the early eighties, Jack Madeley had, I believe, already been a Member for several years. It was not long before I began to know him quite well; he was a cheerful, outgoing man and a very competent artist, an asset to the club in more ways than one. As time went by, I made many more friends, and Jack was part of the group which included Bernard Shortt, our excellent Chairman. These two men, along with Jim Walker of happy memory, seemed to me to embody the spirit of the Club. I know very little of his private life, except that he and his wife Vera, a teacher of ballet, had danced together in shows, and that he was a devoted husband, father and grandfather But he treated his painting seriously, and took an advanced art course at Manchester Metropolitan University, specialising in a study of Frank Brangwyn. Soon after, he won the Geoffrey Key Award in the Club's Annual Exhibition. He was equally at home discussing his studies and telling us about his little granddaughter. He took part in all activities, supported the outdoor painting days that I organised (I was Programme Secretary for a number of years), and regularly joined our little crowd in the pub after club meetings. He could tell a joke, and enjoyed having his leg pulled; I do believe our rather mature group had more fun in the pub than any of the much younger people there. After Vera died, Jack was one of the five whom I invited for some years to a Christmas dinner at my home. This is a very personal memorial to someone I knew well, admired and was very fond of. There are many older Members who, I know, will remember Jack and join me in offering sincere condolences to his family. We shall miss him. 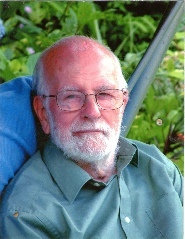 ​ Jim Walker was one of the club’s oldest member and our only life member. He was a wonderful artist, and his ability and enthusiasm in so many roles in the club is an inspiration to us all. He will be greatly missed by all who knew him. Above all our thoughts are with his wife Audrey (who is also well known to many club members) and his family. 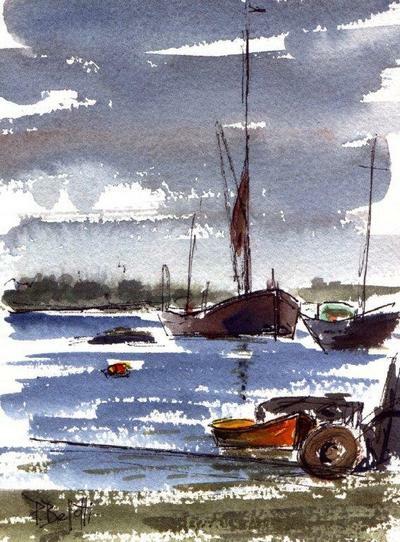 I joined Salford Art Club some time in the 1980’s and quite soon became aware that one of the moving figures there was Jim Walker. At that time he seemed to me to be totally other than the good friend he later proved to be, both to me personally and to the club itself. He rarely smiled and once or twice I felt the rough edge of his tongue (with good reason, I admit), but with time I began to appreciate what a generous and devoted club member he was, and how much we owe to him. Jim knew the club history and rules inside out, he devised a procedure for our annual exhibition which could not be faulted and he faithfully kept a wonderful and lively club archive of which we can be very proud. Although he was an artist in his own right, with a gift of draughtsmanship and collage, in later years he chose to preserve the social aspect by volunteering, often with the help of his beloved wife Audrey, to provide and make tea for all the members and to clear up afterwards. I also have fond memories of an evening during which he and Audrey, in full evening dress, danced a foxtrot while we drew or painted. I found that he had quite a sense of humour, he laughed out loud when I drew a cartoon of him peeping over the edge of a tea cup and was delighted to keep the drawing, Twenty five years ago I would never dared even to show it to him! I also discovered in him a deep kindness and concern and I am sure that I am not the only one to have benefited from it. I believe I speak for the whole club when I say that “Jim Walker is irreplaceable. How lucky we were!”. In 1969 Vera Lowe was already a member of the Salford Art Club and was there to welcome new members along with the late John Clare. Vera was a vibrant woman, passionate about painting., Her subjects were mainly rural landscapes. Her pallete consisted of yellow ochre, various greens and burnt umber, her paintings were strong like her character. I remember her giving a demo at the club and talking whilst she worked. She said, addressing the ladies in particular “leave the fluff under the bed, it will only come back again, paint instead”. she was chairman for many years and then she went on to become secretary of the “Manchester Academy”. 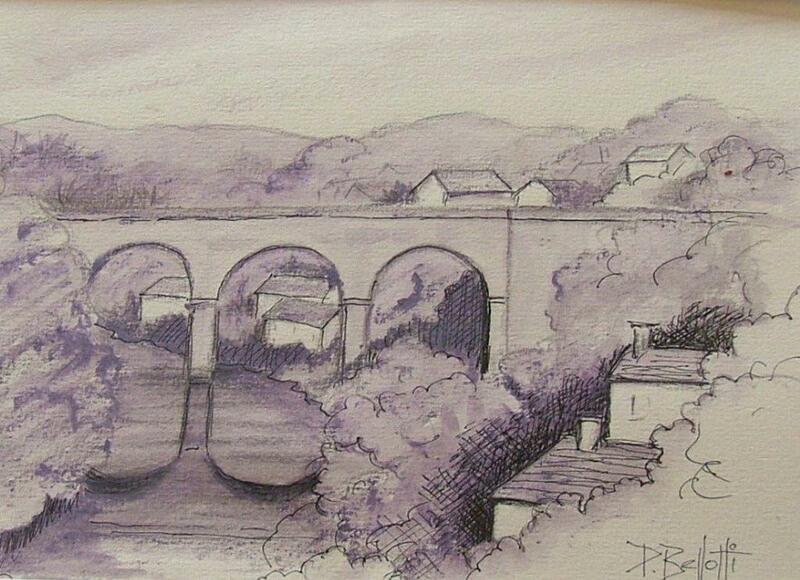 She and her husband Charlie lived in Ramsbottom and then in Roe Green, Worsley. “Vera was one of the members who had a big impact on me and my work” said Sheila. A person one doesn't forget easily. Lillian Fletcher born Dolly Bolshaw was left on the steps of an orphanage aged 2 and at the age of 10 adopted by a Blackburn childless couple and from then on she never looked back. Lillian belongs to that unusual group that is both scientific and artistic.She had a double honors’ degree in botany and zoology from Manchester University and wanted to be a geneticist indeed was accepted for a PhD but it was not to be. Lillian was also a Loughborough trained athletics coach, at one time she coached potential Olympic swimmers. She was even certified as a Scottish dancing teacher, sword dance included. After teacher training 1946 - 48 she taught for a number of years then said “end of, I think I will go to University again”, which of course had to be Manchester. She studied full time graduating for a second time in 1974 aged 50. Then followed a period lecturing at Manchester Poly. She did no painting at all during all these years. Following the death of her mother, Lillian’s artistic side burst out and I suggested she joined Salford art club which she did. Lillian was quite at home and her work was always Plein air often for three consecutive days, never from photographs. Lillian had an innate artistic talent which was untaught, she became skilled in pastel, ink, acrylic and watercolour (that most difficult of media). Her favourite works could be done at home, Chinese or Indian subjects. Lillian tackled her art scientifically. I used to bring reference books from Manchester library and Lillian researched and made notes then painted from her mind. She would say she could see an image developing in her brain. Later Lillian became chairperson of SAC then became involved in the Federation of Arts Society eventually becoming chairman. Together Lillian and I travelled in her car far and wide looking at potential venues and organizing exhibitions, sometimes carrying a hundred pictures which Lillian would arrange and faithful me would hang them. By now Lillian was painting full time, there are many photographs of her wrapped up in her chair at her easel. In her 80’s she found another outlet, computers creating pictures, poems and games. For nearly 50 years this was - is and always will be my very good friend Ms Lillian Fletcher. John Clare was born in Manchester and apart from five years’ war service in the Middle East, lived and worked there all his life. 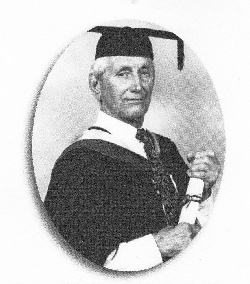 His work and his passion was teaching, first at Chorlton High School and later in further Education. He started painting in middle age and attended part-time classes at Manchester Regional College, Withington College of further Education and at Manchester Polytechnic. Life painting soon became another of his passions. 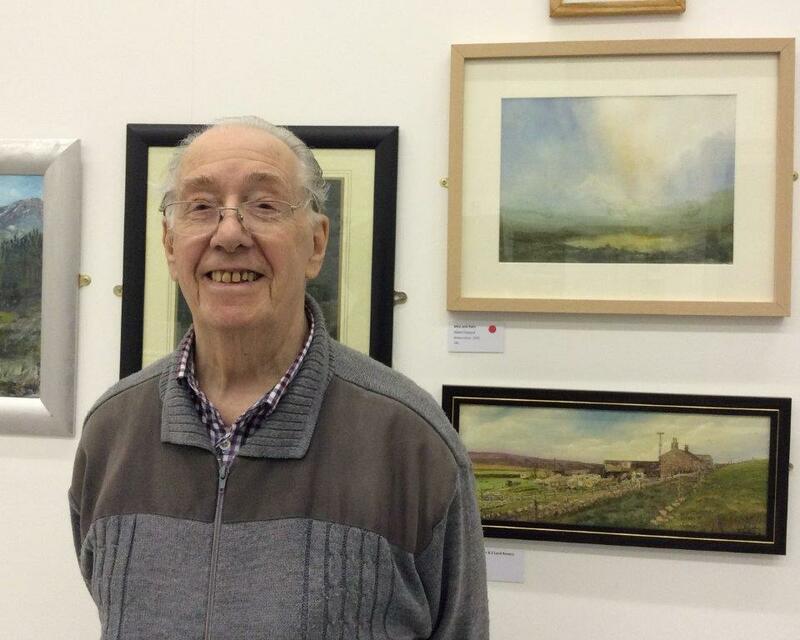 For the last seven years of his life, he was able to combine his two passions, conducting highly successful week-end courses on life drawing and painting at North Hulme Centre Manchester. 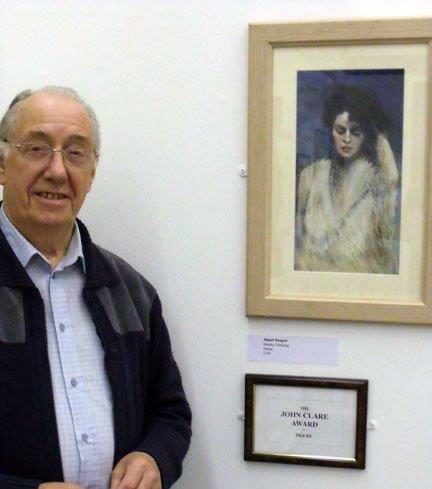 John himself spoke of his own approach to painting and summarised his hopes and beliefs about his work, when he was asked to mount an informal exhibition of his paintings at Edge Hill College of Higher Education, Woodlands Centre, Chorley, shortly before his death. He explained that all the paintings exhibited had been done in the Life Class and showed examples of various approaches to a subject which was a continual source of excitement to him. He said that he worked constantly to improve the basic drawing skills which he considered essential for the production of an acceptable standard. At the same time, he believed that the only worthwhile work in art must contain and show the artist’s feelings and responses to the subject. These beliefs are apparent in the drawings and paintings now on view. John Clare never lost his sense of wonder and his reverence for life. 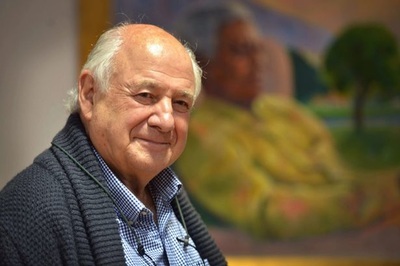 He will long be remembered for his warm humanity and his infectious enthusiasm; for his constant concern for young people and for his active encouragement of his fellow painters. ​We all remember Betty for her sense of fun, her optimism, enthusiasm, generosity, her wok in getting the best models and demonstrators. She never let her illness get her down, bravely enduring the treatment to the end, she was a great inspiration to those who were also suffering, she will be missed by many. Betty was born into a large family in Bangor Wales and was very proud to be Welsh. Betty was an intelligent, lively person with a zest for life, she was always happy and every day was new. She was creative in many ways dressmaking, DIY, she would tackle anything even building her own kitchen, she was a real dynamo. Betty had two beloved sons which she brought up single handed. She worked for ICI as a supervisor, and had supplementary jobs to make ends meet and pay the mortgage. She had always been interested in art and had a natural talent for it. Her forte was flowers in any medium and she produced many splendid pieces over the years. She also tackled portraits, landscapes, and animals all of which were spectacular. Along with 3 friends Betty joined SAC and quickly made her mark. It wasn’t long before her dynamic nature resulted in her being asked to be Programme Secretary a task which she took on with her usual enthusiasm. In addition she was also a committee member for the N.W.F.A for many years. Never one to flinch from giving her opinions, she was a natural organiser, some would even dare say bossy. She gave the job of program secretary her all in her usual indomitable style and consequently we had a programme that excelled and pleased everyone. She was a committed member to the club, loud, funny, and entertaining and always doing her best. Nobody could forget her spontaneity, her fun, her love of life. Betty had many many friends in the club and she was always there with a helping hand, good advice and support, she did not let you down. Her generosity was not only to her friends but also charities, human and animal, that needed supportive funds. Her donation to the club funds which she gave to so generously has resulted in the Betty Murray prize for the best still life in the exhibition. Betty was one of those rare people in life that you meet who are capable of changing your life or your outlook to it. 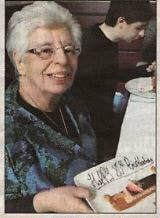 Betty Murray was a great lady, a great artist and a good friend to the club. ​In the mid 1980s, I worked at Salford University and went to see a Club Exhibition with a Visiting Professor from Israel. I persuaded him to buy a beautiful painting by one Audrey Morrisey, and when I joined the Club some time later I asked to meet the artist.. She bought me a cup of tea as a thank-you, and we became friends at once. We went on art courses together, and once or twice had little painting trips in Wales, once taking her husband Bill along with us. As we grew older we settled for meeting somewhere for lunch, still enjoying each other's company. Audrey was a superb artist, and some of her work was rich, beautiful and very appealing. I remember watching her at work, totally absorbed. and in due course - and seemingly with not a great deal of effort - producing enviable paintings, collages and batik which I, for one, could never hope to emulate. Anyone who owns one of her best works will have a treasure. Audrey was one of the 'stars' of the Club; she had a quirky sense of humour and a generous spirit. Those who knew her will not forget her, and her family must be missing her very much. 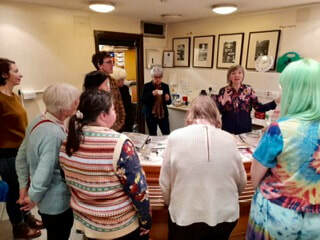 The Club has arranged to show some of her work in the current Exhibition, and we are proud to display it. Happy memories! 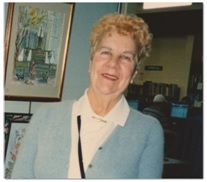 Jean Hockenhull, 89, was for many years a faithful member of the Friends of Salford Museums and, until lack of mobility prevented her from continuing 7 or 8 years ago, was our Outings Organiser. These trips included visits to the Barber Institute and City Art Gallery in Birmingham(jointly with Win Birchall), ComptonVerney, Warwickshire, and Gwydir Castle and PlasMawr, Conwy, in North Wales. Jean and I were also co-editors of the Friends' Newsletter for a few years. My wife also met Jean in connection with Guiding. Jean had been very much involved with the Girl Guides in South Lancashire (as it then was!). She had a particularly love of camping was a Camp Advisor to the Guides, believe for the South Lancashire Guiding County. 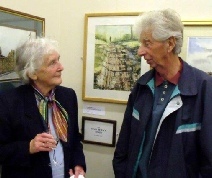 Jean was very much involved with Salford Art Club, and she helped arrange a couple of excellent talks at the Museum on painters with Manchester connections which were held jointly with the Friends. The first of these was by Ruth Woodon Benjamin Williams Leader and the other was by Celia Lyon on Adolphe Valette. Jean also encouraged joint meetings of the Friends and the Art Club. I have myself lost touch with Jean over the years, but recently my wife, Susan, and I visited North Wales with John Finley and his wife Martha, and we were talking about Jean and the trips she organised during our stay. The visit to Gwydir Castle and Plas Mawr was jointly arranged with fellow Friend Claire Hunt who is very interested in Tudor architecture and of course in Ordsall Hall in particular. I am sure Jean will be sadly missed by all who remember her. 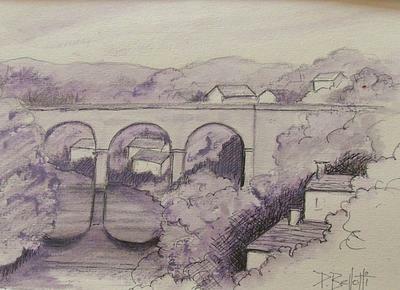 I now live in Kendal, and it isn't possible for me to come to the funeral, and if any Art Club members are attending, I shall be glad if you will pass on my sympathy (and that of our President, Don Rainger, and of the committee) to Jean's family and friends. I am conscious that this is only a small snapshot of some parts of Jean’s very full life. Mums main occupation was as a Tracer, then Medical secretary, she also sang in the GMP Policeman’s choir for many years and she could play the piano and the violin, most of all, she loved painting and instilled that joy in me at an early age. 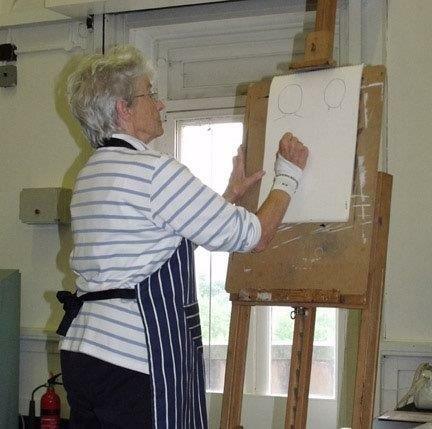 Sylvia was a very long standing member of Salford Art Club and she remained a regular attender . 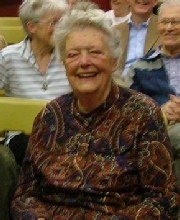 She enjoyed club demonstrators and speakers, sitting on the front row and always saving a seat for her daughter Elaine. Terry was husband to Christine Lavin a long standing member of the club and although not a member of Salford Art club he agreed to become Club Treasurer, stepping into this role when it was difficult to get anyone else. He was Treasurer for three years, and was a great support to the club and for which we are very grateful. He will be sadly missed. Albert was a long standing member of the club who will be sadly missed. ​His artistic talents were always in demand ,from an early age, for in 1949 the scenery for a play, "The Kings Warrant" was constructed in Salford Grammar school and painted by Roy. ​After leaving Grammar school, he attended teacher training college where he studied to be an art teacher. A lucky man! His greatest love, painting, was also how he earned his living. 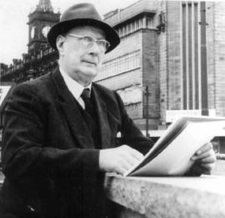 He taught in three Salford schools, Ordsall Secondary school, Moorside High school and finally Walkden High School. ​A man of many talents, he played the Euphonium in the school orchestra and was always helping organise concerts and plays etc. ​In another facet of his teaching career, he helped give working holiday education lessons at Grasmere, when the regular teacher was on leave. ​Another of his interests was printing and he became involved in the 'Hot Bed Press' Printmaker's studio, Cow Lane, Salford. He donated a treasure trove of beautiful presses and types he had collected over the years. ​He was also an active member of The Friends of Salford Museums Association, for many years serving as Chairman and organising a number of visits to museums and Galleries all over the country. As part of this he was involved in raising funds for the restoration of Ordsall Hall museum and became the International representative for the British Association of the Friends of Museums, attending meetings all over the world. ​A very talented man who gave a lot to the club and to Salford. He will be sadly missed. ​With Thanks to The F.S.M.A. and John Finley for the notes for this article. Born in Llanelli, Wales, Margaret Patricia Ace, generally known as Patricia or Pat, graduated from Manchester University with a degree in French with a Spanish minor. She married Leopold (Leo) Lucas Bellotti after university and settled down in Whitefield to raise a family in Whitefield. She had three children, David (born 31st October, 1956, died 5th September, 2010), Victoria (26th September, 1961) and Matthew (29th March, 1964). Whilst Leopold worked as an architect, Pat became the home maker but spent a considerable amount of time working on her hobbies of writing and art, joining a local art club in Whitefield. There she honed her art skills, working in pencil, crayon, pastels, oils and watercolors and her husband Leo joined in on the watercolors. Together they filled their house on Pinfold Lane with art. Around this time, Pat became a member of Salford Art Club. 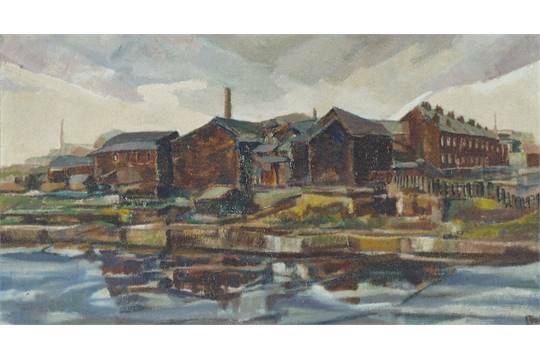 She continued to work on her art as well as writing, especially poetry and remained committed to Salford Art Club, at one point serving as Chairman also later its secretary. A MANCHESTER woman, who taught elocution to hundreds of children and adults, died on Sunday after a short illness. Pam Kirk, 80, began work as a speech teacher in the 1960s, from her Broughton Park home. “Mum lived life to the full and was always busy and active,” daughter Lorraine Kirk said. “She was also positive, strong-minded, practical and determined.“People all over Manchester knew my sisters and I as ‘Pam Kirk’s daughters’.